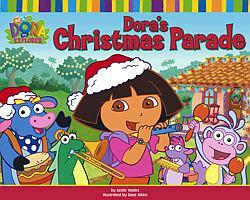 It's Christmastime, and Dora and Boots are celebrating Christmas with their families. But Dora's grandma is unable to come because she is not feeling well. Dora and Boots decide to use their Christmas presents -- soome new musical instruments -- and start a musical parade to Abuela's house, picking up Benny, Isa and Tico along the way!